The dogs (and cats) at Orphans of the Storm® are certainly thankful that they have a roof over their heads and meals every day, but being in a kennel just isn’t the same as being in a loving home with a family to call their own. This holiday season, make a new furry friend forever thankful and forever grateful by adopting! 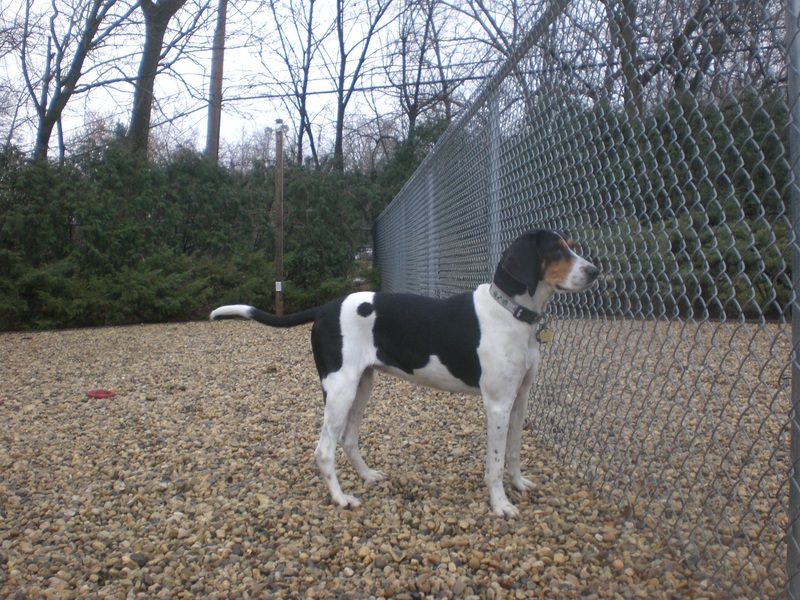 Liberty the five-year-old Treeing Walker Coonhound mix is very mellow and calm. Most of the time I pass her kennel, she’s curled up on her doggy bed. It even took some convincing to get her to come out for a walk! But once she was on the leash, her head was up and her tail was wagging. She’s a great leash-walking buddy who never tries to stray very far from her person. Liberty turns into quite a snuggler once she gets to know you (which, for her, just means a few minutes of walking around together). When I knelt down to her level, she put her nose right up to mine and happily stayed by my side while I pet her. She seems a little unsure of new things (like the new pebbles in the off-leash run), but with some encouraging, she comes out of her shell. Liberty was previously sharing her kennel with a dog who has since been adopted, so she could go to a home with or without another dog. If you’re looking for a real sweetie, come in soon to meet Liberty! 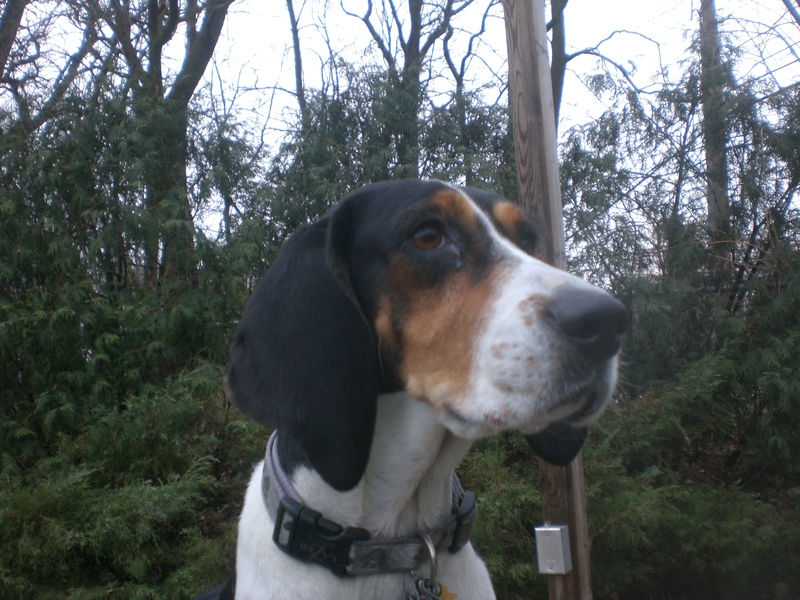 Ginger the three-year-old Treeing Walker Coonhound mix was adopted but returned because her new family realized they didn’t have enough time for her. Ginger is like a more active version of Liberty–she was more than ready to come out for a walk and took the lead on our way to the off-leash run. Once there, she did a little bit of racing with the dog on the other side of the fence and enjoyed exploring in the bushes. Ginger is super cute and super affectionate. She attempted to climb into my lap and succeeded in giving me several doggy kisses. When I sat down on the bench, she hopped up to join me for a moment before going back to following her Hound nose. She has that signature Hound voice, but doesn’t use it too often. Ginger is ready to commit to a new family, and hopes that her new family will be just as committed to her. Stop by the shelter soon to meet Ginger! 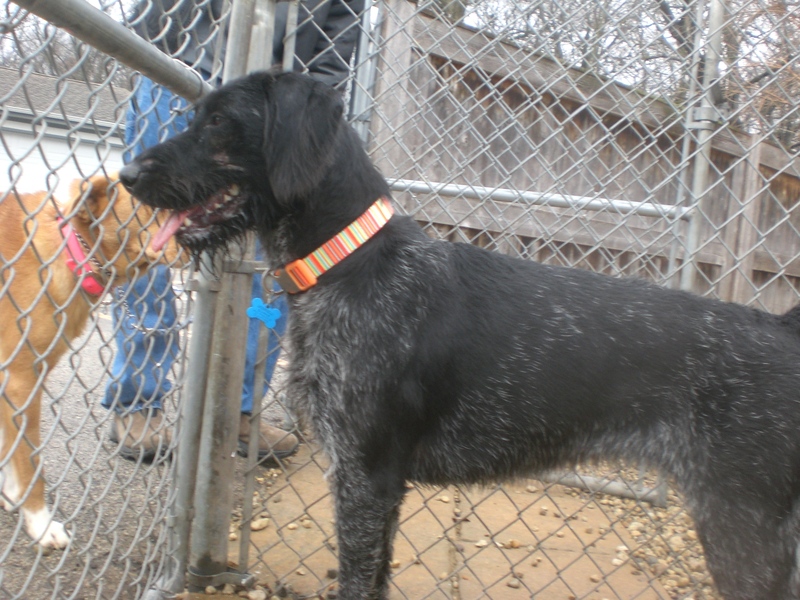 Cinder the five-year-old German Wirehaired Pointer mix is full of energy. In fact, I thought she was still a puppy because of the way she was racing around. 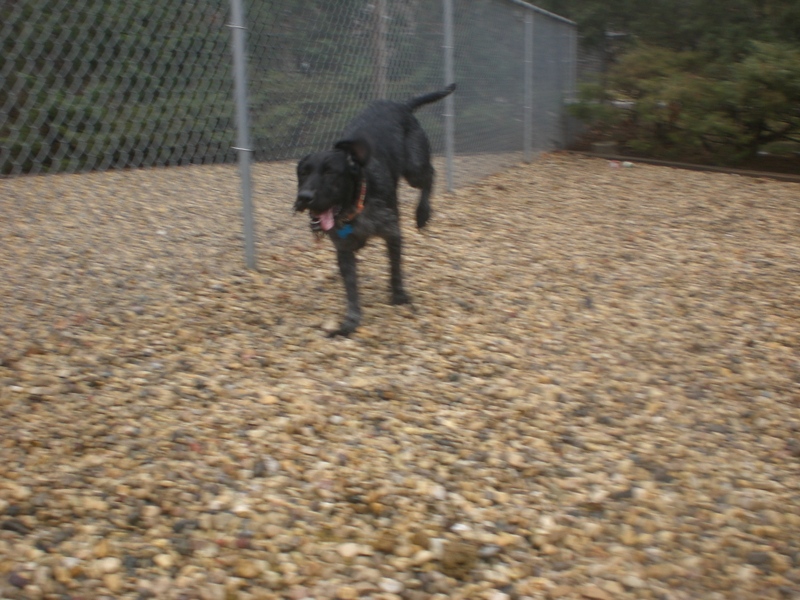 Most of my pictures of Cinder turned out be action shots that were more of a black-and-gray blur. This is a girl who likes adventure, as shown by her attempting to climb on top of the water bowl stand, rather than just stand next to it to get a drink. Cinder is a pooch who just wants to play. She had such a fun time racing the different dogs that came into the run next to ours, and barked in disappointment if they stopped or went away. She doesn’t quite seem to have mastered the concept of ‘fetch’ yet, but once she does, she will be great at it. Cinder was a little wound up when she was first on the leash, but after she got a chance to expend her energy, she turned into an easier walking buddy. 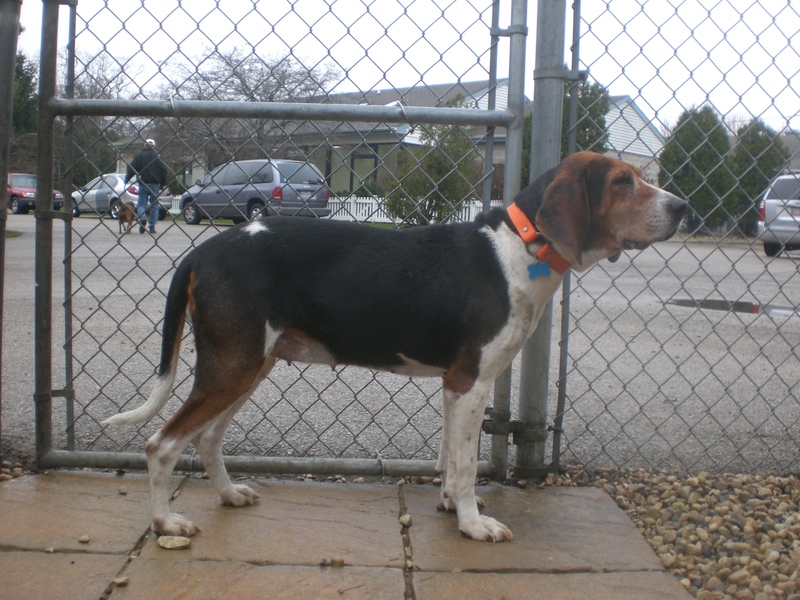 If you’re looking for an energetic companion, look no further than Jordan! I also saw Baylor, Corky, Daka, Javan, Lucy, Ranger, Rocky, Rosco, Shamrock, Shasta, Shogun, Sweet Pea, Topaz, and Tucker. 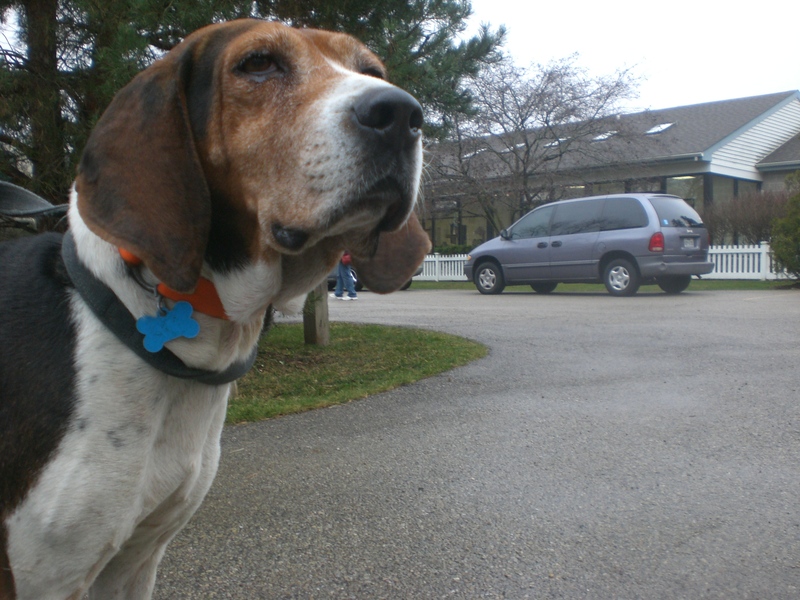 Posted by Meet the Pooches on November 26, 2014 in Dog Profiles and tagged adopt, animal shelter, animals, Chicago, dogs, German Wirehaired Pointer, Orphans of the Storm, pets, Treeing Walker Coonhound. These dogs are adorable! I hope you find homes for them. Is there anything I can do to help out? Thank you! I hope they find homes soon too. Sharing and spreading the word would be a huge help! And, if you or anyone you know is in the Chicago area, Orphans of the Storm is always looking for donations (food, beds, toys, treats, etc.). They are! This is a great bunch. From super-mellow to super-exuberant, Orphans of the Storm has them all!